They are manufactured in wide range of sizes and depths. They are simple to assemble requiring relatively unskilled labour on site. Units are capable of being constructed as flexible watertight structures. The structure is durable with its own inherent strength. Elastomeric joint seals in compliance to EN681. Butyl sealant strips also available as a seal option. Proprietary watertight system available in 1200⌀ using ‘wide wall’ (130mm wall) and 1350mm, 1500mm units. Lifting anchor eyes available on request. 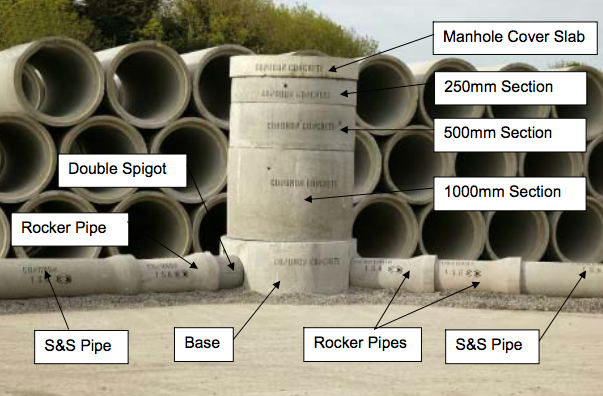 The diameter of our Manhole Base is 1200mm and as can be seen from Table 11, an extensive range of channel sizes and floor plans are available which would cater for the vast majority of site requirements. 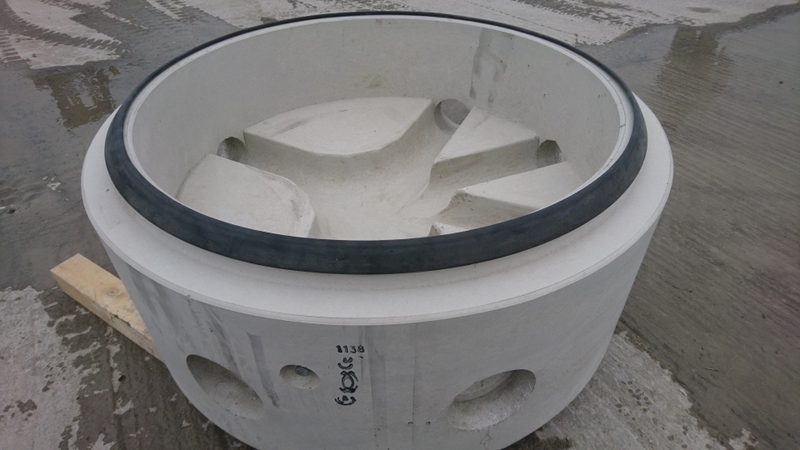 The all socketed units are designed so that a seal can be provided on all connections, with double spigoted sections available for concrete pipes connecting the outlet to the socket of the first downstream pipe. The 150mm, 225mm and 300mm channel sizes are also available with gaskets suitable for use with a wide range of plastic pipes. Heights and Weights of Manhole Bases are as shown on the tables below. All chamber sections are fitted during manufacture with 350mm wide plastic coated aluminium rung steps, which are spaced 250mm apart, thereby providing a uniform step interval in all units. Chamber Rings can be supplied reinforced if required. All sections are jointed using our CS 202 Butyl Sealant (or Elastomeril Jointseals to EN681) giving an immediate and flexible watertight joint. Heights of chamber sections are as shown on the table. NOTE: All chamber sections are to be stored vertically on site to prevent rolling. 1200mm Wide Wall 1350mm and 1500mm Propriety Watertight chamber rings have 3no. cast in anchors. 2.5T Lifting clutches /eyes available on request (certified) and are compatible with anchors cast into off the shelf wetcast and perfect bases. 3 number 40mm diameter lifting pins for 1350,1500,1800mm Manhole Chamber units. 3 number 50mm diameter lifting pins for 2100,2400mm Manhole Chamber units Lifting pins available on request (certified) – See Pg. 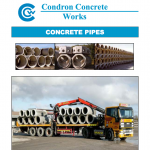 27,45,46 of pipe/manhole brochure HERE. – Ensure correct cranage and chains/slings used in accordance with latest health and safety regulations. The cover slabs, which are all reinforced, have a different thickness for different diameters. All are provided with a 600mm (min) diameter opes and a socketed base which allows a butyl sealant joint to the top chamber section. I.S. 420: 1989, I.S. 420: 2004 and ISEN 1917 incorporates routine water absorption tests, works proof load tests, maximum load tests, cube crushing tests, cover to reinforcement, complete manhole hydrostatic test and installed step tests. Our Quality Control Team carries these tests out daily to ensure compliance to the relevant standards.